The irony that today is April Fool's Day is not lost on me. 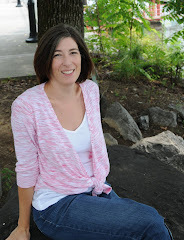 What mom amongst us has not played the fool, laughed at a preschooler's jokes that make no sense, or gone to lengths previously unknown to amuse the littles circling our knees? We laugh until we cry, or cry until we laugh throughout motherhood. It's part survival tactic, part unexpected joy of motherhood. It's all around surprising. And completely BRAVE! 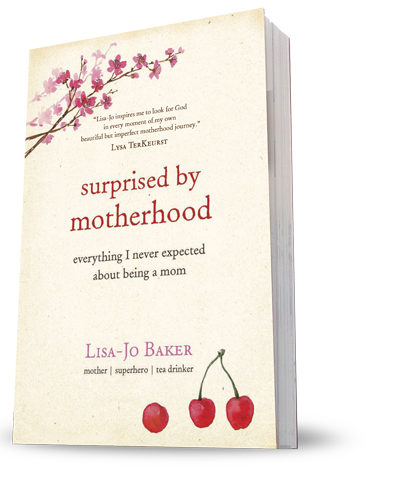 Today is the day we officially welcome "Surprised by Motherhood: Everything I Never Expected About Being a Mom" by Lisa-Jo Baker into the big wide world of books. I love this book (and its author) so much I gave away a copy on my birthday! You can read more about it here. I want to give you a taste to whet your appetite. The voice is Lisa-Jo's, the heart is a mom's, and if you look closely you may just see yourself in this video. WARNING: have the tissues handy before you hit play. Anyone who is a mom or has a mom. Who should you give this book to? The mom at McDonald's late on a Saturday with three kids in various uniforms all covered in mud. So get your copy now, don't let Mother's Day or a random Tuesday sneak up on you. You won't be disappointed and neither will they.